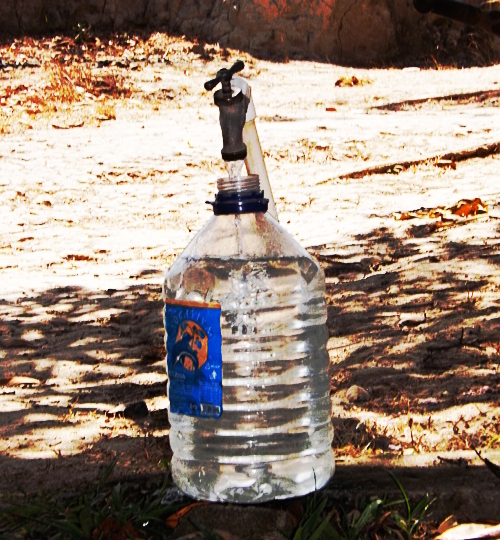 At least 70 communities, mostly in the Interior, are without water. A June trial has been set for some of the suspects in the Martinelli administration’s Tonosi water project fraud, but the company at the center of it is still allowed to get government contracts. PanCanal lake levels are down and we may see ship draft restrictions before this El Niño has run its course. As Madden Lake is way down, there is already the start of a tug-of-war over water to slake the metro area’s thirst and water to run ships through the canal. Juan Carlos Varela made ambitious promises of running water in every Panamanian household but so far the movement on that has been in the other direction. A slowing economy does not help. However, the solution to the water problems is not rocket science. The nation’s many water systems need to be connected with one another. Along the dry western littoral of the Gulf of Panama there need to be several desalination plants to extract salt from sea water to make potable water. Some of the more useless or corruptly obtained hydroelectric projects that have already been built might properly be nationalized, at least in part, to provide water for public systems. But what do we see instead? An inappropriate $13.5 million desalination plant for 160 mostly very wealthy residents of Isla Contadora, with some vague promise that this might keep CBS coming to the island from time to time to record espisodes of its faux reality Survivor shows. It’s a big insult to the many people of much lesser means who haven’t had water coming to their homes for weeks and it’s also an example of development priorities aimed at making contractors rich with needlessly expensive and expensive to run systems. Dozens of Varela administration appointees turn out to be naturalized citizens of the United States or other countries who have not had their citizenship rights restored and thus illegally occupy their posts. There are 19 criminal complaints pending against members of the Supreme Court, most of them against presiding magistrate José Ayú Prado. One of these looks like a fairly flagrant and open-and-shut matter in which as attorney general Ayú Prado allegedly ordered the destruction of evidence. It that’s true he has no business occupying any public post, let along the important one he holds. But the National Assembly’s Credentials Committee has chosen to hold turf battles and play partisan games instead of moving steadily but with all due caution in resolving these cases. Two months after the high court ordered Ricardo Martinelli’s arrest, the papers have yet to be processed. The audit of the University of Panama and the “private foundation” through which university assets were diverted is not done and it’s not clear that the comptroller general intends to do a complete audit. Panamanian shell companies and law firms are shown to have been at the center of some of the biggest international corruption scandals of our times — the Brazilian Petrobras affair and the multifaceted looting of Spain — but our prosecutors seem not to be interested. A new set of election laws has been proposed, by most indications to favor the bosses of the existing political parties rather than the causes of democracy or honest government. The country’s two largest political parties, the PRD and Cambio Democratico, are fragmented with disreputable party leaders trying to cling to power and make deals with one another. People will be marching against corruption with impunity on March 1, with factions that don’t ordinarily speak with one another taking part. Usuallly meek civic groups are now demanding the resignation en masse of the entire Supreme Court. Is it an acute crisis? Not really. But consider the backdrop of exports and commercial activity down and declining, with unemployment and the national debt up and rising. It’s a deepening malaise from which an acute crisis might pop up at a surprising moment. Among the individuals, as well as among nations, respecting the other people’s rights leads to peace.